1More Spearhead VRX review: Is Waves’ 3D audio tech better than 7.1 surround sound headsets? 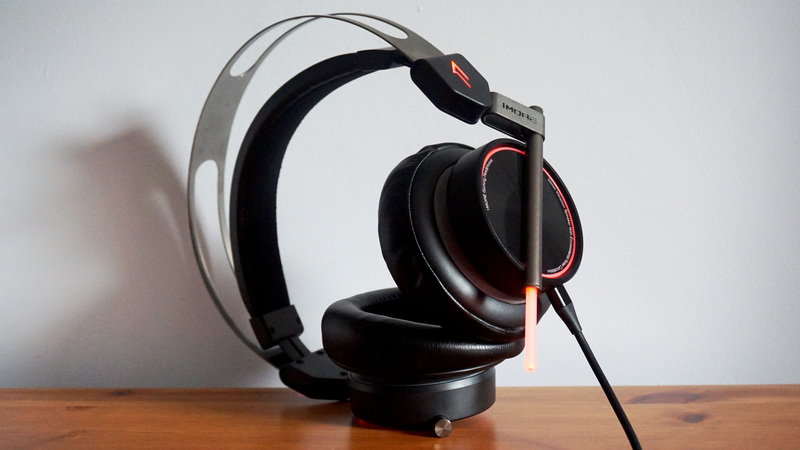 1More might not be the first name you think of when it comes to gaming headsets, but having launched their first pair of gaming headphones late last year in the form of the Spearhead VR, they’re now following it up with an even higher-end sibling, the Spearhead VRX – because everything sounds better with an X on the end. In this case, though, the X may well be warranted. While it shares much of the same DNA as the regular Spearhead VR, including its 50mm graphene drivers, subtle RGB lighting and suspended headband design, the VRX throws professional audio wizards Waves’ fancy 3D audio Nx tech into the mix, supposedly giving it a more authentic surround sound experience than the usual virtual 7.1 systems you see on other headsets. Is it worth £190 / $200 though, and is it enough to earn it a spot on our best gaming headset list? Let’s find out.